As moms, do we ever really rest? Between dishes, meals, laundry, getting the kids to school or sitting them down to do homeschool lessons, jobs, doctor’s appointments, church functions, sports, piano lessons, book club, and everything else that we may or may not do, life gets really busy. To add to it, society makes us feel that if we rest, we are lazy. As a result, if we take some time to actually truly rest, we feel guilty. Anyone remember that McDonald’s commercial from a few months ago with the two moms arguing over who was busier? My point exactly. When our hearts and minds are able to slow down and find peace, the focus turns to God. Our souls are fed and find nourishment. We spend time pondering on Him, attending church, reading the Word, and praying the way we should. With more rest, our stress levels lower and our health improves. Our families follow our examples and good habits are formed. I’ll be the first to admit that I am guilty of not resting the way I should. 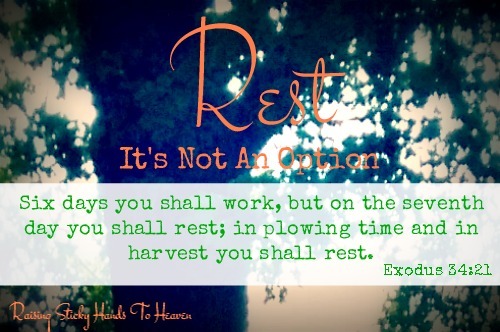 Sometimes my idea of “rest” is not putting God’s word into action. All He asks for is one day a week. It’s not really too much, is it, considering all that He has given for us? Will you join me, and rest in Him every Sunday? Now, ready for some fun? Here is the “A Group Look Link Up” I told you all about earlier in the week! These are some great ladies, so be sure to head over to their blogs and get acquainted. Can you believe how patient they were with me with that unexpected 5 week trip? Sweet girls! Unless this is your first time here, you know I’m a busy mom. You see it in my Facebook statuses, Tweets, & frequently here on the blog as, well, the whole theme of Raising Sticky Hands To Heaven is about making time for God in the midst of being a busy mom. So it comes as no surprise that I’m excited to share my review of this book with you all today. 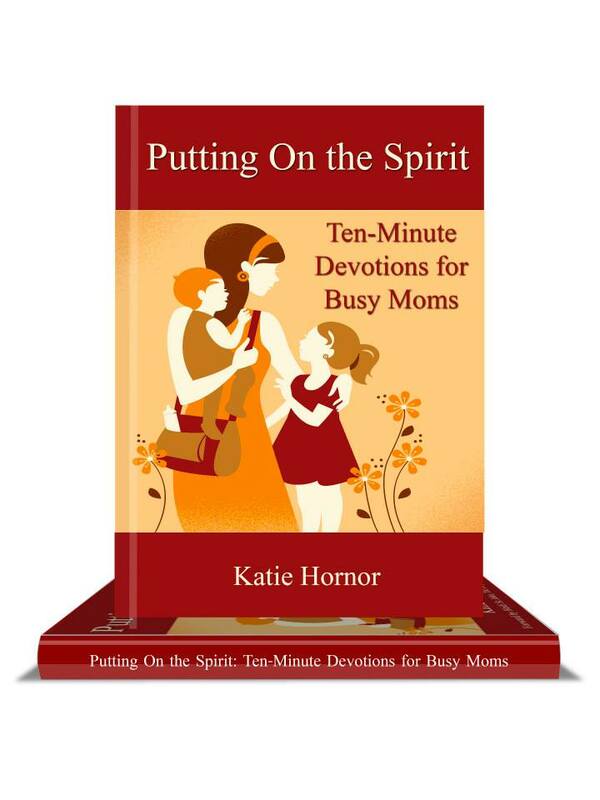 Putting On the Spirit: Ten-Minute Devotions for Busy Moms , just released this week, is one of my most favorite devotional books yet. 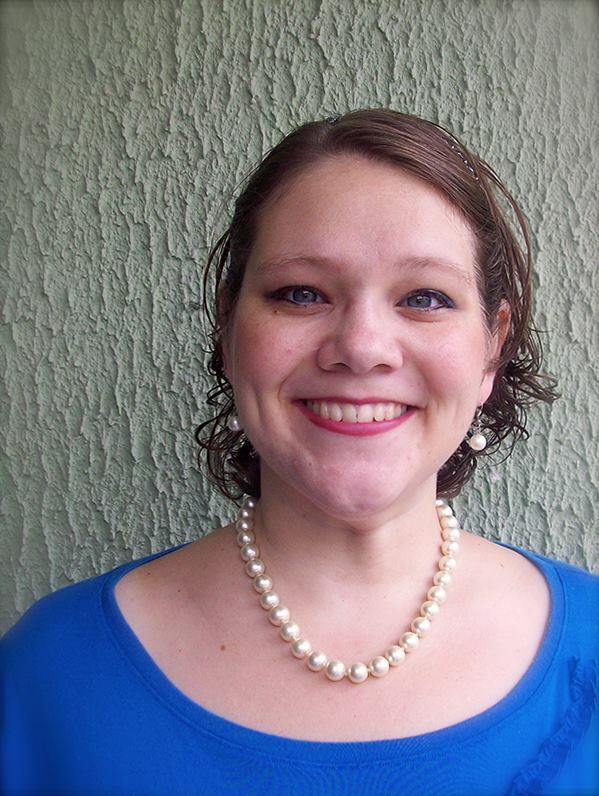 Author Katie Hornor of Paradise Praises put together this study for moms like you and me. The mothers who have little time to catch a breath, let alone find time to spend in the Word. For the moms whose time is valuable and cannot be wasted by reading something that isn’t just right. The ones who sometimes have to read quickly while in the doctor’s waiting room, a few minutes before the family wakes, or maybe even in the bathroom with the door locked. She knew what we needed, because she is a busy mom herself. Most of all, she let the Lord speak through her and that is what makes this book so amazing. Each day’s reading takes about 10 minutes, just as the title says. Along with the workbook that is available for free to download, you will realize what the Bible says about the Fruits of The Spirit mentioned in Galatians while doing some soul searching. 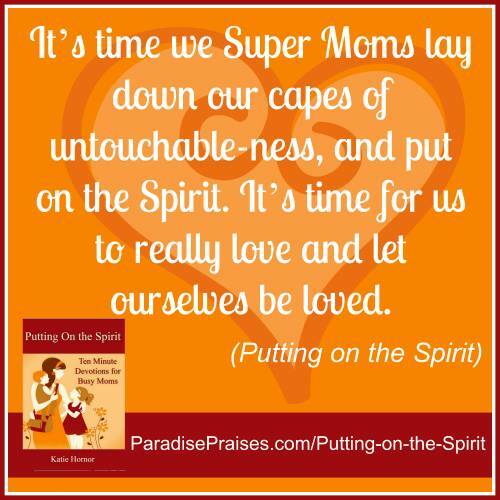 While going through Putting On the Spirit: Ten-Minute Devotions for Busy Moms I had so many “Aha!” moments that I did not anticipate. Without being preachy, Katie teaches us how to put on the whole spirit in our day to day lives by being down to earth and speaking the truth. I couldn’t wait to read each day and even found myself crying tears of joy some of those days. Quick, meaty, encouraging, and a blessing. Exactly what I needed! 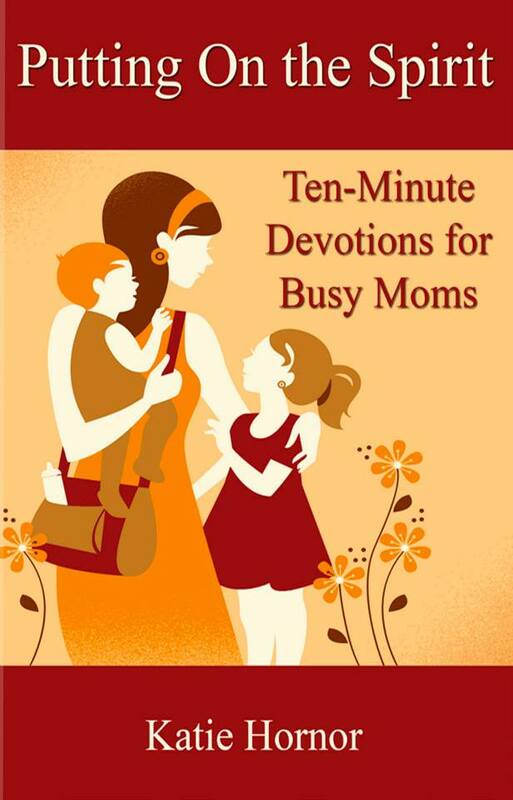 This week only Putting On the Spirit: Ten-minute Devotions for Busy Moms is available for 99 cents! The book’s forward is by Heidi St. John and is also available in Spanish. I can’t recommend it enough! I even plan to go through it again each time my children study the fruits of the spirit in homeschool. It’s that good!